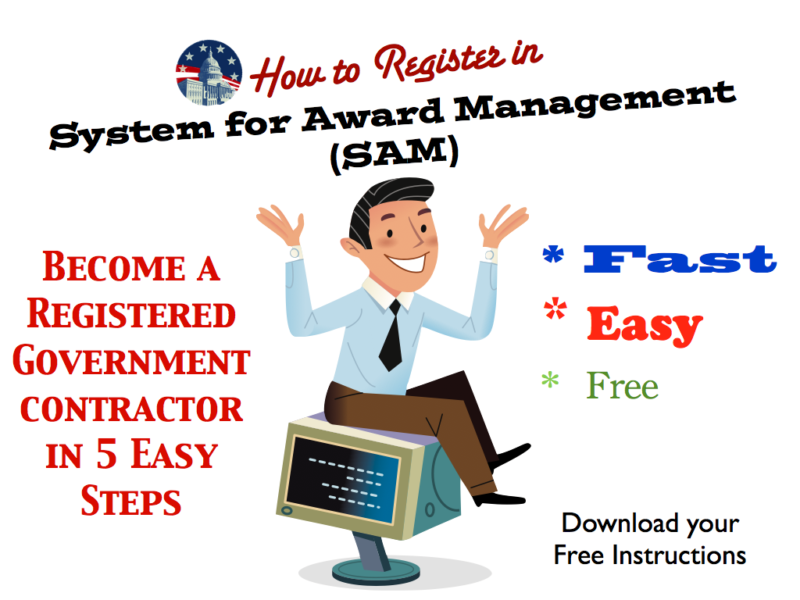 System for Award Management (SAM) is the required federal database that every vendor must be registered in to conduct business with the government. Once registered properly in SAM, a business can officially say they are an approved government contractor! Read our free 5 step instructions to register your business today! The System for Award Management (SAM) is the Official U.S. Government system and consolidates the capabilities of CCR/FedReg, ORCA, and EPLS. If you have questions along the way, please call one of our contracting experts at 877-252-2700.